This is going to be another post regarding Torino Time and my 1971 Ford Torino 500, but this will be a little different. Most of the time, I just tell you what I’m doing. Well, here is a how to! 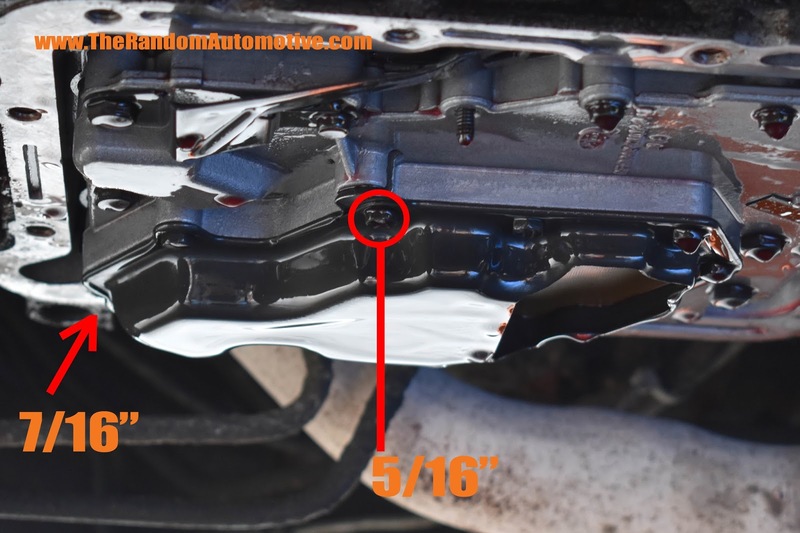 The leak on my transmission pan was getting pretty bad, so I decided that it was time to replace it. This car has a standard Ford C4 transmission, but the basic principles of this apply to most transmissions. It’s pretty straight forward, and you don’t need much experience to do it. However, I would always recommend taking your car to a mechanic if you feel uncomfortable. There is a video at the end of this article, in the event you would like a more comedic version of this. I would always suggest a lift if you have access to one. If you don’t, use jack stands. You shouldn’t work under a car that is supported by just jack stands, but if it’s your only option, make sure they are on level and solid ground. 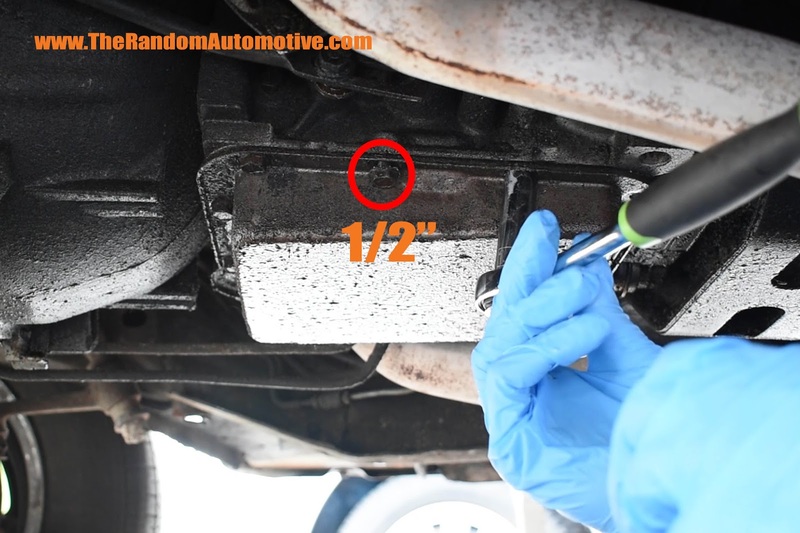 The C4 does not have a drain plug, so the fluid will start to leak once you loosen the bolts. Use your 1/2" socket to remove the side, front, and back bolts. Leave the corner ones for last. Remove your rear corner bolts, and loosen the front ones. 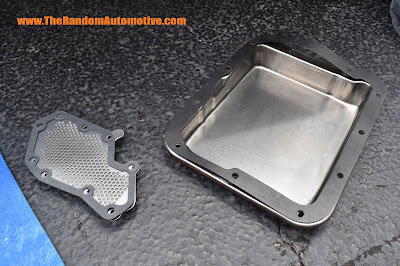 Your pan will begin to hang, and fluid will start dripping out, so have your drip pan ready! If you use a screwdriver to assist in the tilting of the pan, be very careful! You don’t want to bend the edges of the pan. After the fluid stops pouring out, remove the front two bolts. Hold the bottom of the pan so it doesn’t fall. While the rest of the fluid drips out, take this time to clean the pan. Peel or scrape off the old gasket. Spray and wipe the pan down with Brakleen, or a cleaner of your choice. Make sure none of the old gasket is left behind on the pan. You may need to scrape some off with a razor blade. You need a clean surface with none of the old gasket left to assure a good seal. Get back under the car! Take your 5/16” socket and remove the bolts for the filter. The last one is toward the front, and that is 7/16”. There is a spring with a guide rod on the driver side of the filter. It will want to pop out. Be careful not to lose it. Inspect the filter for any metal fragments or anything out the ordinary. Now it’s time to put everything back. First, inspect the seal areas one last time to make sure they are clean. Next, install your new filter. Finger tighten the bolts. Use your ratchet to finish the job. Tighten them down in a star pattern: left side, then right, then front, then back, and repeat. Don’t over tighten the bolts! Just get them tight enough. After that, do the same thing with you pan and new gasket. 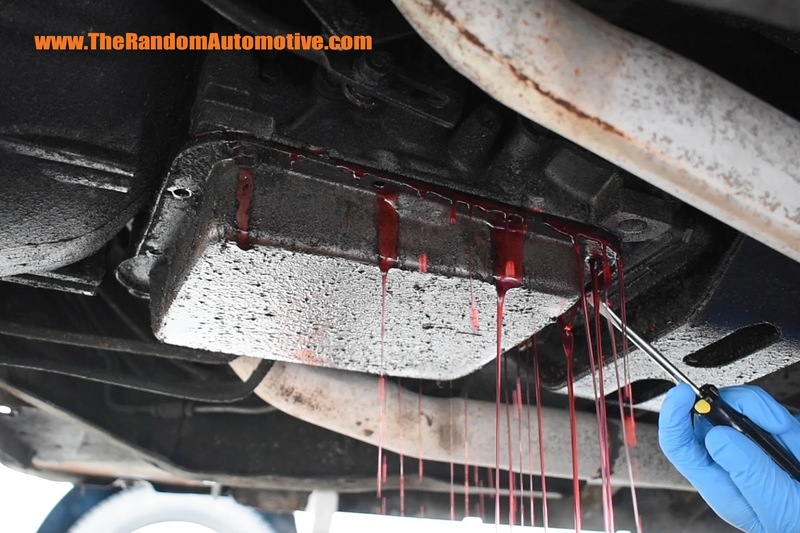 After you are done, top off your transmission with fresh fluid. Make sure it is the right fluid for your car. For a 1971 Ford C4, I used type F fluid. You may need to let your vehicle get up to operating temperature and recheck your levels to make sure they are still good. It’s actually a pretty easy thing to do. Just have the right tools, a little bit of confidence, and you can get it done! There is so much more that I have to do to my 1971 Ford Torino 500, so if you want to follow the journey, check out the series on this blog, or check out our YouTube channel. Don’t forget to like us on Facebook, and be sure to follow us on Twitter for some exclusive content and updates about what will be happening to this car next! Thanks for stopping by.